The Wichita Business Journal selected Jenna Marceau to participate in its Emerging Leaders program. Marceau, director of implementation and systems management at Syndeo Outsourcing, is one of 76 young professionals from companies across the Wichita area who are participating in the program. The Wichita Business Journal created the Emerging Leaders program, now in its fourth year, to foster the leadership development of young professionals and promote community involvement. Marceau says being selected is an honor. Syndeo provides human resources consulting and outsourcing, employee benefits administration, payroll services, workers’ compensation and staffing. Marceau says participating in Emerging Leaders also gives her opportunities to hear different perspectives and ideas from individuals outside of the industries she typically works with at Syndeo. The six-month Emerging Leaders program includes a series of roundtable discussions with other participants to discuss challenges and opportunities in business and the community. The Wichita Business Journal also facilitates panel discussions on important issues. Leadership training through the Kansas Leadership Center is another component of the Emerging Leaders program. “I know I am in a group of accomplished individuals and appreciate being placed in their company,” Marceau says. 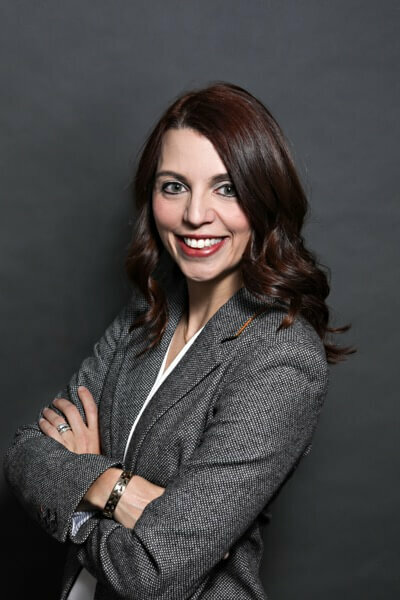 This is the second Wichita Business Journal honor of the year for Marceau, who also is a member of the 2018 class of 40 Under 40. That annual program recognizes 40 difference makers in the community under age 40.